Office 365 Message Encryption is an easy-to-use service that lets email users send encrypted messages to people inside or outside their organization. Designated recipients can easily view their encrypted messages and return encrypted replies. Regardless of the destination email service—whether it’s Outlook.com, Yahoo, Gmail, or another service—email users can send confidential business communications with an added level of protection against unauthorized access. 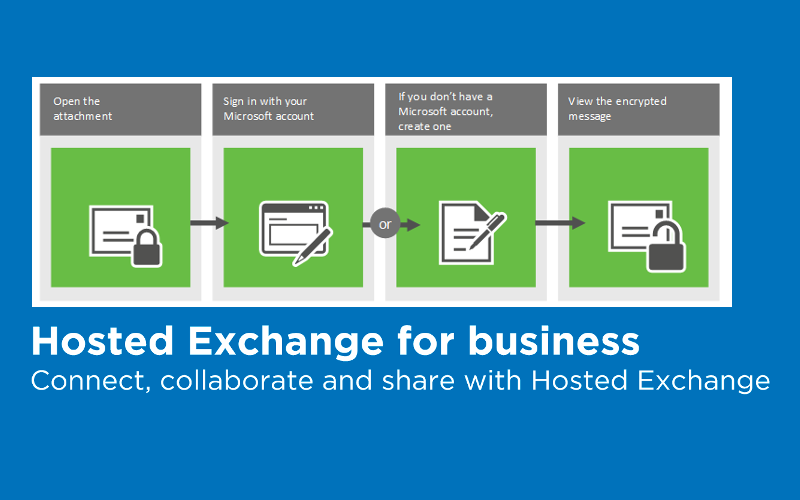 Exchange Online and Exchange Online Protection (EOP) administrators set up Office 365 Message Encryption by defining encryption rules. ComStat engineers can help customers with subscribed support service customize encrypted messages with organizational text and logo, presenting a company brand that’s familiar to message recipients. Additionally, Exchange provides advanced services for high level encryption services like certificated TLS etc. 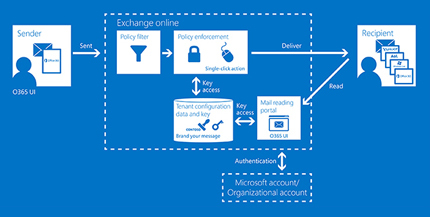 The diagram below showing the workflow through which Office 365 Message Encryption protects encrypted emails from being read by unauthorized users, while allowing straightforward access by authorized recipients.